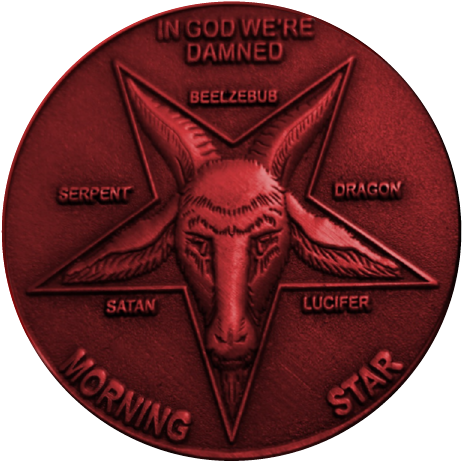 EACH SATAN COIN WILL INFLICT INFINITE PAIN AND SUFFERING UPON ITS OWNER* (THE PERFECT CHRISTMAS PRESENT). ANY HOLDER OF THIS COIN HAS BEEN DECEIVED INTO BELIEVING IT HAS VALUE. IT HAS NO MORE VALUE THAN ANY OTHER CURRENCY, BUT IT WILL ADDITIONALLY CAUSE TRAGEDY IN MORTAL LIFE. SATAN COIN OPERATES ON THE ERC-20 TOKEN STANDARD ON THE ETHEREUM NETWORK. HOWEVER, IT IS SUSTAINED THROUGH THE SIN AND EVIL OF HUMANITY. THE FIRST CIRCLE OF FUNDING WILL BEGIN ON HALLOW'S EVE**. THE LAST CIRCLE OF FUNDING WILL END ON CHRISTMAS EVE**, IN PREPARATION OF A SATANIC CHRISTMAS. ONLY 666 SATAN COINS WILL BE SPAWNED. ALL COINS ARE INDIVISIBLE. 1 SATAN = 0.0666 ETH. EACH ROUND OF FUNDING WILL CATAPULT THE BUYERS DEEPER INTO THE ABYSS. ONLY 74 COINS WILL BE AVAILABLE PER ROUND. UNLIKE OTHER COINS, THESE COINS ARE PERPETUALLY BURNING. THEREFORE, UNALLOCATED COINS WILL BE RAFFLED TO THE GREEDIEST*** OF BUYERS. LIKE THE APPLE THAT TEMPTED THE FIRST HUMANS, THIS TOKEN IS PART OF SATAN'S MASTER PLAN TO ALLURE HUMANITY DEEPER INTO IMMORALITY.